Write content that supports your offering and by being informative and even providing solutions to people’s ‘problems’, they are more predisposed to buy from you, should they require what you have to offer, or even recommend you to someone else. Think bigger picture and you will add value to your business with your blog. Blogs, even when they’re for business, give you the ability to have that personal touch and engage directly with your customers or people who have the potential to do business. Even if you’re not chit chatting with them in the comments box, you’re actually ‘connecting’ on an intellectual or even an emotive level. I read some great blogs attached to business that make me feel passionate about what they offer, or their market, or even wider issues. I don’t suggest that you blog solely with this in mind because it will all be very contrived and you’ll probably write stuff that’s annoying rather than adding value, but think of it as a Brucie Bonus. Use tags, categories, link to (relevant) pages around your site, and do link out to other relevant peeps too. I imagine you want people to spend more time on your site and more rounded content will encourage them to hang around for longer. 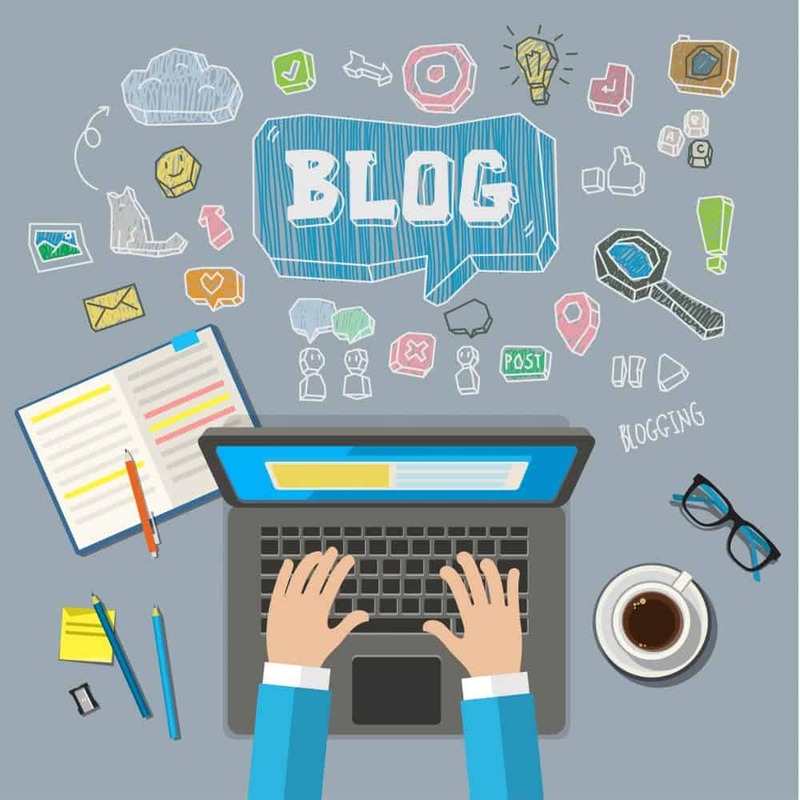 Writing blog posts may also encourage them to check out other relevant products or services that they may not have considered otherwise, which in turn can generate more business. The wonderful thing about blogs is that by consistently writing content around subjects, you can become regarded as an ‘authority’ – someone who people trust and regard as being a thought leader or expert on a subject or market. Being able to engage people around subjects and to explain problems and provide solutions, or even create problems that people didn’t realise they had and provide solutions, makes you valuable and authoritative. People love to feel like they have gained knowledge/discovered something new. Whether you’re building a personal or business brand, blogs give you an opportunity to put out the messaging that you want people to know, that they may not necessarily pick up from a product description or an about page. Remember, it’s all too easy to say you’re an expert, or tell them that whatever you’re offering is the ‘best’, but when you demonstrate authority, you show people which lets you build your brand. Sounds funny, but writing blog posts on a regular basis teaches you a lot about writing content that resonates with your customers. I see poor product and service pages all the time. Blogging tends to bring out more of a desire to speak in a language that appeals to your customers – being on a level – which is really what should be happening site wide. You’ll also find that you’ll get better at writing marketing and PR bumpf. I’m talking 21st century PR, so this doesn’t mean posting bland press releases but talking about things that are happening in your business in an exciting and engaging way. The type of ‘news’ that has traditionally been shared via press releases with a few key people in traditional press doesn’t work in the social media evolved world. You’re now writing your news to speak directly to your customers and potential customers. Get your news out there and start telling your stories and have them ranking in Google (and other search engines) on your key terms. Go easy on putting annoying words and phrases that no-one understands (or cares about. All of the above can actually help you to make money. Increasingly, as small business has greater and greater impact, people buy from people. I know so many people who blog that have made more money and experienced various opportunities as a result of blogging. That authority that they demonstrated about marketing your business online, resolving tax issues, or managing your time and business through outsourcing – they picked up more clients. Think big picture. Great piece Natalie, very useful. Blogging is something I’m planning to take the plunge on! Do you recommend that the blog sits on your site eg http://www.myroo.co.uk/blog or as a separate site eg http://www.blogspot.myroo.co.uk. Thanks in anticipation.